At KellyMitchell, our recruiters are the backbone of our success. Our technical recruiters focus on searching the IT talent pool and matching qualified candidates with Fortune 500 companies. An excellent communicator, both written and spoken. Entrepreneurial at heart and thrives in fast-paced, goal-oriented environments. Capable of thinking outside the box. An individual with a competitive attitude and a desire to succeed. Nurture existing relationships with KM candidates. Discover new tactics to attract quality candidates to KellyMitchell. 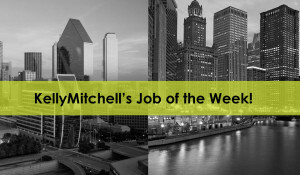 Launch your career with KellyMitchell today!